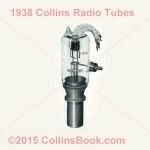 This is a collection of 1938 Collins Radio Tubes taken from Arthur Collins personal copy of his tube catalog. 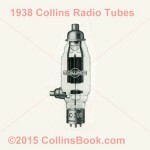 These tubes included both air cooled and water cooled types. 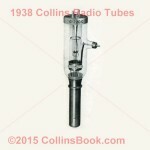 In addition to the Collins Radio tubes from the catalog, there is also a picture of the Dr. Goddard external electrostatic grid tube. In the early 1930s, RCA controlled the patent on the Triode tube used for transmitters, preventing Collins Radio from using them in their transmitter designs. 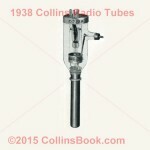 The Goddard design had a valid patent that did not infringe on the RCA patent, thus was the C-100 tube created for Collins Transmitters. 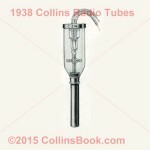 The C-100D was a refined version of the Goddard tube, the electrostatic grid is now inside the glass envelope. 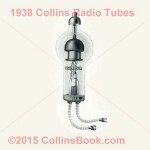 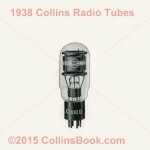 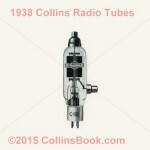 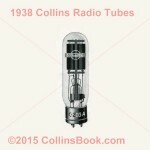 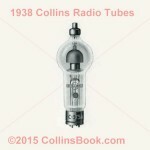 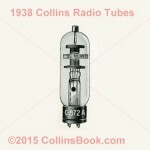 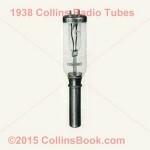 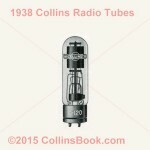 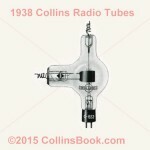 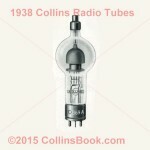 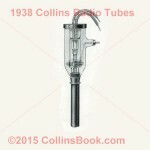 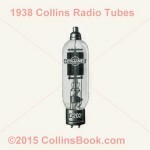 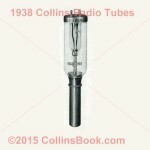 Enjoy this collection of 1938 Collins Radio Tubes.